NORWICH event information - Can You Dance? 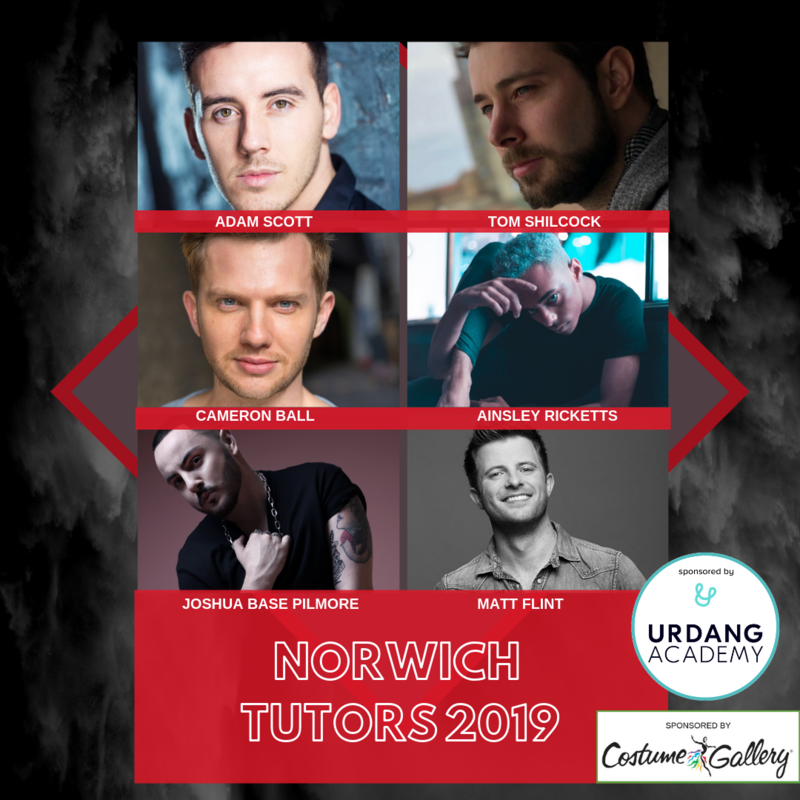 NORWICH Event Information – Sunday April 28th, UEA Sportspark. We are looking forward to welcoming you to CYD? Norwich at UEA Sportspark, University of East Anglia. Please read through all of the following information. Doors will open at 8:15am. There will be an introduction to the day at 8:45am in the Main Arena. The Masterclasses will be running all day with the first class beginning at 9:00am, each Gold & Silver Entry ticket allows you to do 3 classes in Jazz/MT, Contemporary/Lyrical & Commercial. You have all been placed in a group, please see below for the timetable of the classes. The Showcase will begin at 4:40pm (please see the running order below). The awards will be at 6:30pm and the day will finish at 6:40pm. The cafe will be open all day selling hot & cold food, but we anticipate it to get busy during lunch, so advise to bring refreshments also. Please wear suitable clothing & shoes for the Masterclasses, in which you can move appropriately. Don’t forget to bring tap shoes to use on the Demo Stage. Wristbands must be kept all day as they will act as your ticket into each Masterclass. Bronze Ticket holders are allowed to watch the Masterclasses from inside the studios as well the Showcase & Exhibition. Demo Stage – Tap jams, improv comps & more – new for 2019! Check the timetable for more info on these! SOLOS, DUETS, TRIOS – COME & PERFORM ON OUR DEMO STAGE AT OUR REGIONALS! 🔥 Register at the demo stage on arrival ✍🏻 (Routine length: 1 minute for solos, 2 mins for duets and 2.5 mins for Trios). Technique Zone –Come & learn all the current technique tips & conditioning ideas to help you maintain the perfect dancer’s body with AcroPad! Free classes running throughout the day, check the timetable for when these will be taking place! Last year, over £500,000 worth of training was handed out & many CYD? dancers were awarded full scholarships to Performing Arts colleges. Colleges scout during the masterclasses so everyone gets a chance to be seen. Alongside this, we have also awarded several full scholarships to Laine Theatre Arts with our CYD? / LTA full scholarship scheme. The CYD? team scout at each event & if you are spotted you will be invited to attend a private audition later in the year. We hope you enjoy your day with us. A message from some of our Sponsors! Do you have your show filmed every year? Are you fed up with poor quality DVDs? Would you like to take your dance school to the next level…. and make money in the process? 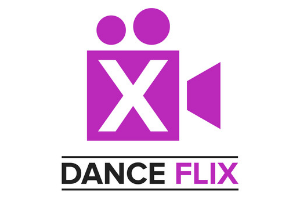 Dance Flix are the UK’s leading dance show filming company. We specialise in producing high quality DVDs, Blu-rays and Digital Downloads of your shows. You can book your free show filming online, and the dancers and parents can buy the show in our online shop, so you can concentrate on producing your best show ever! Your show DVDs and Blu-Rays are a reflection of your dance school, so why wouldn’t you want the best? We strive to give you an amazing experience from start to finish. We deliver amazing show DVDs you’ll be proud of, and capture all of your hard work and the magic of your show with top of the range camera equipment, professional sound recording kit and the expertise of our highly trained team. What’s that? You’d like more free stuff? Look no further! The Dance Flix Blog also offers you tips and tricks from industry experts about how to improve your shows and increase the size of your dance school. You can sign up to receive a new post every Friday at danceflix.co.uk/blog, so jump online and sign up now! Dance Flix are really looking forward to exhibiting at the CYD? regional events and super convention, so make sure to pop by and say hello to Ash and the team! Connect with us on Instagram, Facebook and Twitter @DanceFlixUK and find out more at danceflix.co.uk. After 60 years of experience in the dance costume industry, based primarily out of the U.S., we look forward to making our products available to the influential dancers across the U.K. Not only do we wish to share our one-of-a-kind designs with dancers all across the E.U. but we are prepared to support studio owners and teachers across the board. Costume Gallery creates lively and colourful dance costumes that inspire dancers and choreographers alike. 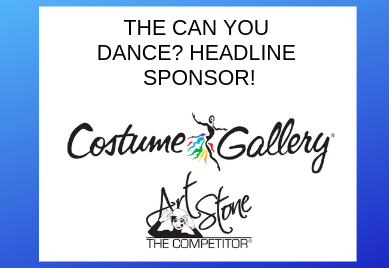 Art Stone brings elevated dance costumes to life that a competitor can only dream of and that teachers and choreographers applaud. Your chance to train in depth with the CYD? faculty. The 2019 Intensives will be over 2 days, in ten different locations, with a multitude of classes in various styles! Click there to find out more!